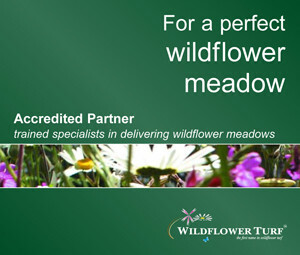 I am very pleased to announce we are now Accredited Partners for Wildflower Turf and offer the creation of garden wildflower meadows as part of our services for gardens across Kent, East Sussex, Surrey and throughout the South East. The wildflower market is one which is attracting a lot of attention and quite rightly so. 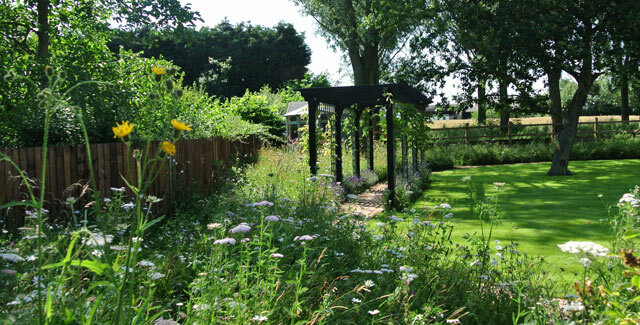 Wildflower meadow areas created using Wildflower Turf encourage biodiversity, require little maintenance and present garden designers with a whole host of new and interesting design options and solutions. A striking array of natural colour – Wildflower Turf will deliver stunning colour and contrast to any landscape. Using only native plants that support existing flora and fauna, Wildflower Turf will delight the eye and compliment landscapes in a range of diverse settings. Supporting biodiversity – Wildflower Turf naturally produces a biodiverse habitat supporting native birds, mammals, bees, butterflies and other invertebrate species. Where large grass areas can create monoculture, Wildflower Turf can measurably improve biodiversity. A versatile product with a wide range of applications – Wildflower Turf can be used for a wide range of landscaping projects including gardens, parks, estates, schools, verges, steep soil banks and urban spaces. 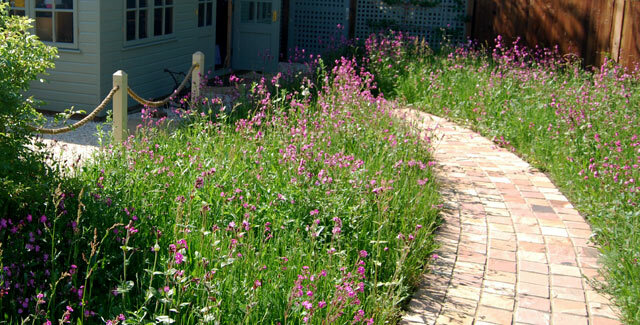 Speed and ease of establishment – Wildflower Turf is the fastest way to establish a wildflower landscape. It’s unique ‘soil-less’ growing method allows roots to establish five times quicker than conventional turf. 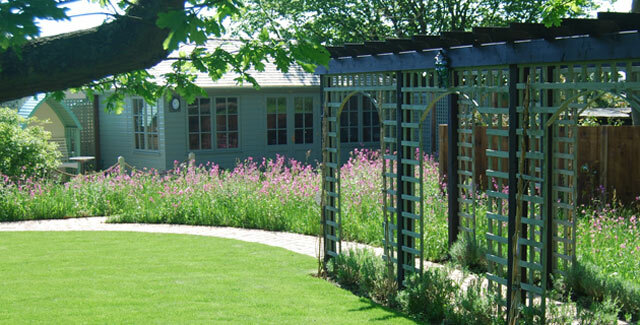 A low maintenance solution – Wildflower Turf’s unique ‘soil-less’ structure allows roots to bind together to form a thick mat. This carpet of roots naturally suppresses weed growth, avoiding the need for routine maintenance. 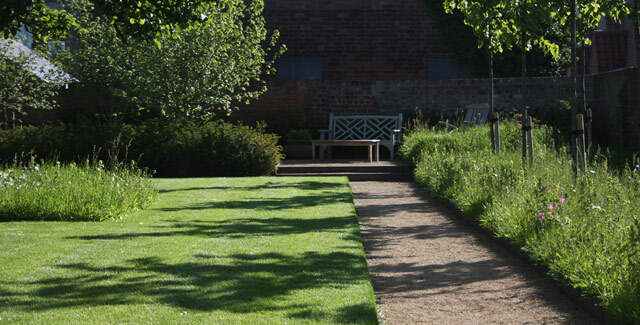 An autumn cut is the minimum requirement for the upkeep of Wildflower Turf. We now have a fantastic selection of Wildflower Turf products that we are able to supply and install at very competitive rates and the end results are simply stunning; just see the selection of pictures below. 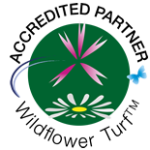 If you are interested in creating wildflower meadow areas in your garden then please do call or email us for more information.